Earlier this week we brought you the first part of our visual guide to Nintendo's Handheld Revamps, starting with Game Boy and going all the way up to Game Boy Advance SP. In terms of handheld console models, and despite the number of years covered, that only covered about half of the story; now we'll pick up with the first iteration of the biggest-selling handheld console of all time. North American release: 21st November 2004. 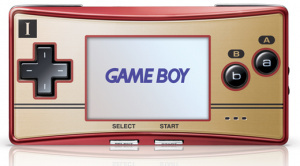 The Nintendo 'Dual Screen', or 'Developer's System' as Nintendo also described it, took the clamshell design of the pre-Game Boy Game and Watch systems and the more recent Game Boy Advance SP and added a touch screen alongside a standard top screen. The concept was to allow for developers to produce gaming experiences not previously possible, and this was a time before smartphones were common, making the stylus-controlled touch screen a revelation to the mass-market. There were other features to add to the experience that hadn't been utilised significantly in a Nintendo handheld, such as a microphone that could be used for basic voice recognition, or mainly for shouting and blowing. Wireless internet connectivity was also new, bringing online multiplayer into the fold, while a slot for Game Boy Advance game carts brought backwards compatibility. An innovation, but this system didn't score well for its visual appeal, though it does have the somewhat affectionate nickname of the DS 'Phat'; it ushered in a new era of handhelds without the classic 'Game Boy' branding. North American release: 19th September 2005. The Game Boy Micro was the final handheld with the iconic brand, and it was also the smallest by quite a distance. Although the name would suggest a late revival for the Game Boy catalogue, the diminutive dimensions meant that it was a device only capable of playing Game Boy Advance carts. The screen, while tiny, boasted a clarity and quality beyond the original Game Boy Advance handheld. An issue with Game Boy Micro was that it was unable to play or use accessories and adapters that functioned on the previous GBA models. All Game Boy accessories such as its camera were unusable, as was the GBA to GameCube connection cable, though an equivalent connector for the GBA multiplayer connection cable was available. Outside of Japan the system struggled to sell to expected levels, probably due to the fact that Nintendo gamers would instead opt for a larger GBA SP or the recent DS. One unique feature was the ability to switch face plates to customise the appearance of the system. A notable example was the 20th Anniversary edition designed to look like a Famicom controller, pictured above. North American release: 11th June 2006. The design of the original DS wasn't universally loved, so it was little surprise that the DS Lite was released with a new, more attractive design. 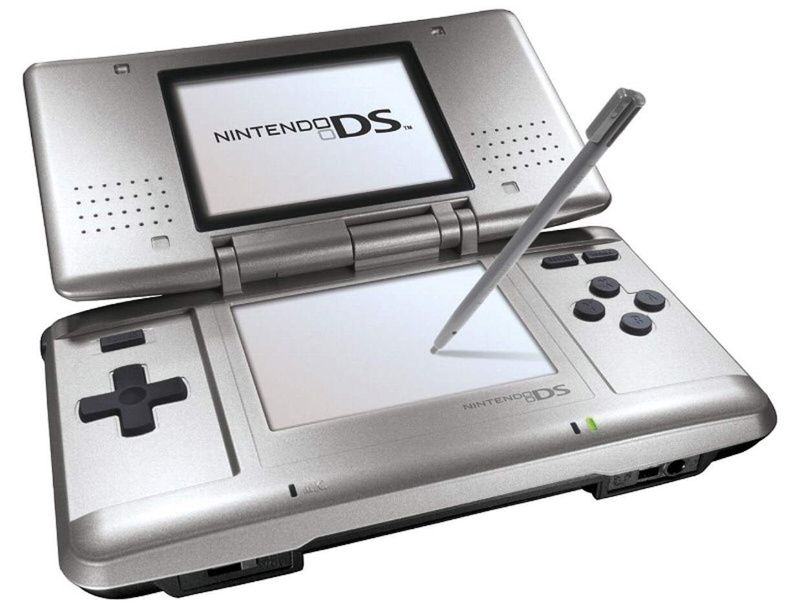 It was slimmer and lighter, while the top screen had improved visibility and brightness settings: its design truly set the standard for the DS 'family' of consoles, with successive systems following its lead. The different brightness settings also meant that, with a low option, the battery life was a significant improvement over the original model. It's also the last Nintendo handheld to offer full backwards compatibility with the Game Boy Advance carts. It provides evidence that a combination of big games and aesthetic quality matter, as despite its modest enhancements over the 'Phat' model it has shipped over 90 million units. North American release: 5th April 2009. 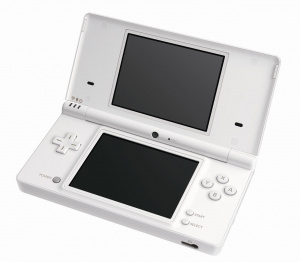 The substantial success of DS Lite led to a lengthy wait of nearly three years for the next DS model, as Nintendo was happy to allow the second model to sell in huge numbers. When it did arrive, the DSi brought more enhancements to this family of consoles, introducing key new features to the experience. Under the hood, DSi had modest improvements on the previous model, including a more powerful processor to help with some new features. Two cameras were added, one facing inwards and the other providing a conventional outward view, with software and games designed to make basic use of the images. Other free apps included a web browser and a sound player, both relatively primitive but fun for a dabble, while the headline inclusion was the DSi Shop. Although no Virtual Console was included, this platform gave birth to DSiWare, marking Nintendo's first foray into downloadable software on a handheld. Although titles had to be on the system memory to play, a memory slot for an SD card gave easily-accessible expanded memory. A notable absence was the GBA cart slot, meaning that there was no backwards compatibility on the system, unless you count original DS software (which you shouldn't). Some titles were released that were DSi exclusive, though were few in number. North American release: 28th March 2010. After a fairly lengthy wait for the DSi remodel, it was less than a year before Nintendo released the super-sized XL model. Released with the apparent intention that the larger screens — with improved viewing angle — would allow others to 'experience' games on the handheld, it was a model that was attractive to those looking for a more comfortable handheld experience, if not necessarily worried about portability. The DSi XL did boast improved battery life, as well as a stylus 'pen' for use with the larger screens. As part of the effort to make the system an attractive purchase, pack in DSiWare content was included: Brain Age Express: Math, Brain Age Express: Arts & Letters and Photo Clock. It was also, quite possibly, the first handheld to have a 'burgundy' model, as part of the goal of making it a desirable gadget for the home. North American release: 27th March 2011. 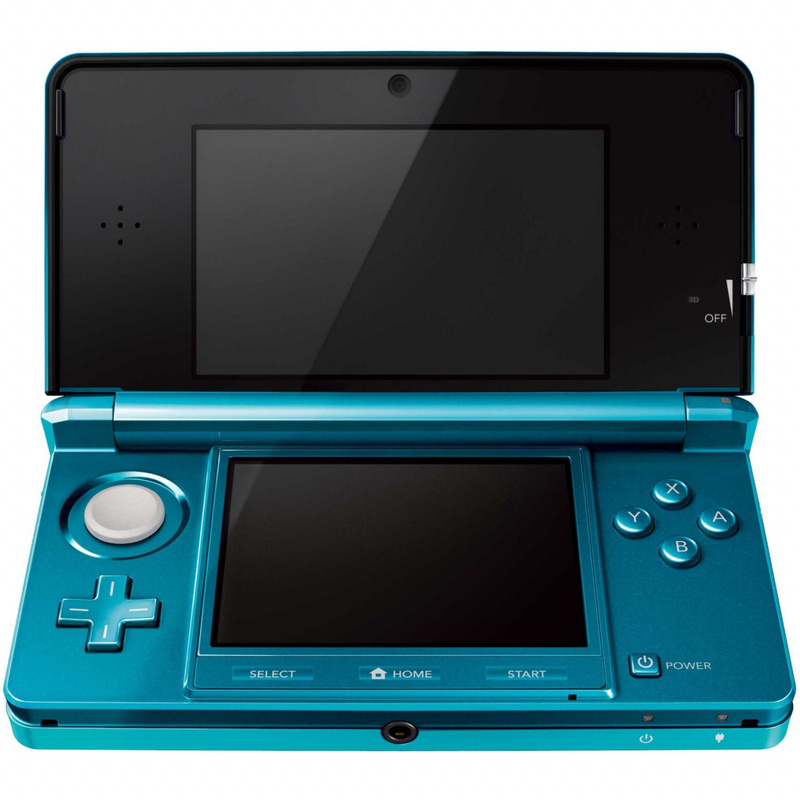 By the time 3DS arrived on the scene, the technology in the DS/DSi family of consoles was noticeably long in the tooth. The main selling point of 3DS is in the name: an auto-stereoscopic screen that produces 3D visuals without the need for special glasses. As well as the 3D effect, the processors in the system are a significant step-up from the DS consoles, seemingly capable of producing visuals somewhere between Wii and GameCube standards. The design has also introduced other innovations new to Nintendo handhelds, including the Circle Pad for analogue control, with a second available through the infamous Circle Pad Pro extension. An additional external camera allows for 3D photos and videos to be taken, while built in software includes AR (Augmented Reality) games. Motion controls are prominent, also, with accelerometer and gyroscope technology featured in varied ways for game controls. 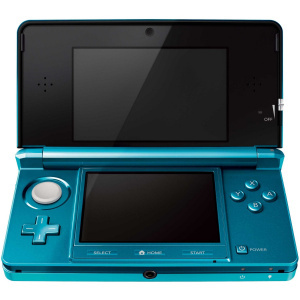 Another improvement is in the wireless connectivity, with 3DS capable of accessing higher-security connections than DS and DSi. An inbuilt pedometer encourages users to take it on the road, with StreetPass allowing users to swap data on the move and SpotPass receiving data over internet connections. The online eShop offers new software and DSiWare, as well as Virtual Console titles from Game Boy, Game Boy Color, Game Gear and NES, while Ambassadors have ten Game Boy Advance titles: full retail downloads are due to start on 19th August. With DS backwards compatibility it's a system with plenty to offer, though a poor start prompted a significant price drop from Nintendo. Its fortunes have improved, but only time will tell whether 3DS can enjoy major and sustained success, though it's unlikely to match DS 'family' sales. North American release: 19th August 2012. 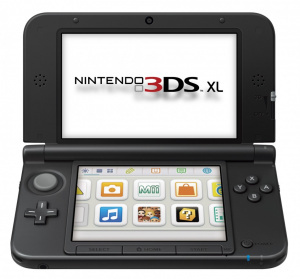 Set to arrive in Europe earlier, on 28th July, 3DS XL is the first iteration of 3DS. As the name suggests, and much like the DSi XL, its main selling point will be bigger screens. A noticeable change in shape and a matte finish also distinguish it from the current model, as well as design changes to the 3D slider and bottom buttons, amongst others. This model will also have a 4GB SD card included, twice the size of the original, yet European and Japanese models won't include a power adapter. It does boast an improved battery, addressing a common complaint of the existing model. So there you have it, the completion of this visual guide to Nintendo handhelds. Which of these have you owned? If you have a 'Famicom' Game Boy Micro, this is also a chance to boast in the comments below. That original DS was quite the Cadillac back in the day. A Cadillac with no options, no power steering or brakes, AM radio, and it ran on regular gas. How well did the DSi XL do sale-wise? 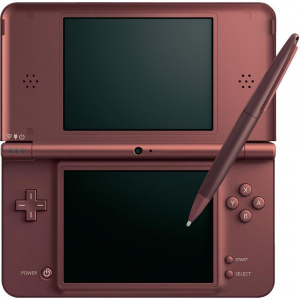 @ScreamoPichu According to not-always-right Wikipedia, the DSi XL shifted just over 12 million units, while DSi was a bit under 27 million. The DS Lite was the undisputed master of that family of consoles with over 90 million units shipped. I loved my DSiXL, wish I never sold it. As for the famicom game boy micro, I use to work with a girl that had that one! Literally the only time I ever seen a game boy micro too. I have a Japanese version Famicom GBM! I wish the 3DSXL came with one of those Mega-Styluses...Stylus? Styli? I ruined my old DS trying to replace its broken shell. After that failure I bought the DS Lite. The top screen of that system is failing as well, with dead pixels and all. I could just get a new screen for a low price, but I'm a little afraid to break my DS Lite as well. In the meantime, I bought a 3DS, but I like playing my GBA games in fabulous colours on DS Lite. I affectionately call my original model DS "Old Chunky." My brother still plays GBA and DS games on it. I betrayed Nintendo for the PS Vita; despite all it's futuristic features, it's still not holding much water(not even in that 5" OLED screen). I'm going back to Nintendo when the N3DSXL comes out. I remember desperately wanting a DS back in middle school. Getting an expensive chunk of hardware like that from my folks was almost unheard of back then, yet I got one for Christmas Didn't upgrade until I got the 3DS before the price drop, and it's a damn good upgrade. As upsetting as it may be for some, I love all of the remakes and retreads that seem to be flooding the system now. Also, Virtual Console > 3D effects. My first portable was my 3DS, but I was old enough to have owned a GameBoy back in the day. I just was not into portables until recently. I do have a friend who is a collector and he even had a Game Boy Micro that was stolen and he always felt miserable about it. Thankfully his collection does not require the systems to work, so he can get an used one really cheap. I'm waiting out for the 3DS XL, while I have loved the 3DS since launch day when I got it, there was a lot to be desired when I started playing the Triple AAA titles like OOT and Super Mario 3D Land, I just wanted to play them on a larger screen. I like the placement of the stylus in the 3DS XL, I thought the extendable stylus and the placement of it was terrible. I like how nintendo life is rehashing stuff when there is real news to report, like the new clubnintendo awards for July, and the items chosen for the gold and platinum club members that have been announced. tsk tsk. @TimboBaggins: I like how you're attempting to call us out over things we've already covered. Since you missed 'em, here's the article for Club Nintendo Elite Status rewards, and here's the one about the new monthly CN downloadables for July. Enjoy! 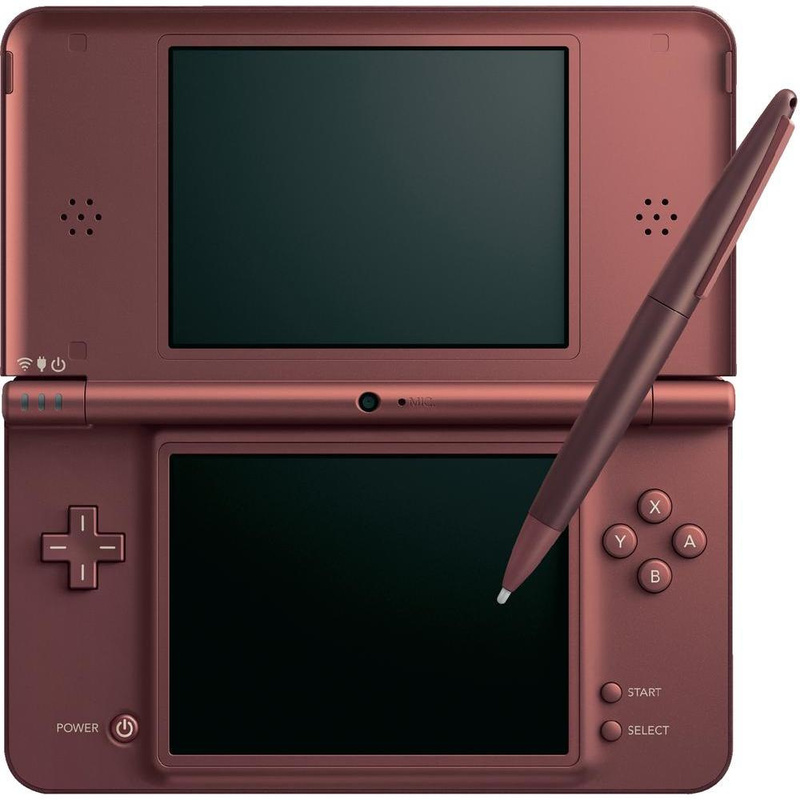 The DS Lite was the prettiest DS model, and is still Nintendo's sexiest handheld design overall imo (although the glossy finish on the outside was a bit of a pain), so it's good to hear it sold the most. The Game Boy Micro was also very cool for it's time but it was a very niche specialist product that only a few people who were avid collectors were ever really going to buy imo. I own all the above mentioned handhelds and the DSi XL is without a doubt my favorite. I love them big screens. I love my DS Phat. I don't know why people think it looks ugly. Is it sad that I've never heard of the Gameboy Micro? -_-* I have a GBA SP, DS Lite (Zelda edition!) DSi and 3DS (also Zelda). My best friend had a DS phat, but she put her school books on top of it and cracked the screen. I agree it was ugly and am glad I held out for the Lite. I'm not a collector or anything, but i really want a gameboy micro. Man I don't understand why people hated the original DS. I liked it so much that I opted to get ol' chunky instead of its anorexic counterpart. I miss my GameBoy Micro! I sold it to get a new dsi (at the time) I think I'll buy a used one online or something. Such an awesome looking system! Love the Gameboy Micro. When I can't stand my front-lit Gameboy Advance SP I love playing on it. The only problem is finding a new faceplate. For those of you who may buy it make sure your faceplate is in prefect condition mine isn't and I going to pay a lot for better one soon. I love and will always love my GB Micro, my favorite console. I also had the opportunity to get one used Famicom Micro for cheap in a garage sale in the US, but since I already had my normal "anemone" one I didn't considered it necesary to get a second one. I don't really regret it either, to be honest, I really dislike that shade of red. I never owned the Gameboy Pocket cause I just didnt see the point at that time cause I didnt play my GB too much than. Gameboy Light for obvious reasons. I never got a DSi or DSiXL cause I didnt like the fact that they removed the GBA slot for a camera. And I dont think I will be getting the 3DSXL unless something should happen to my current 3DS. I never got the GB Micro either cause at the time I didnt have the money for it. I think one of these days I will see if I can track one down. Have a purple GBA SP,Rose Pink Ds Lite(though I have no idea where the f$$k is it and a ambassador aqua blue 3ds. I still have every single GBA & GB models to date which about two aren't working anymore, I always had thought of buying my own DS for myself which hasn't worked since I've been short on money by just 20% usually when I tried to buy a DSi in 2009/2010. I skipped the entire DS handheld generation. The dual screens and touchscreen were little more than gimmicks when combined with the terribly dull "casual" games library, especially when compared to the amazing GBA games library. The system's got little more than RPGs (while I like them in reasonable doses, I don't have the time or patience to play a whole bunch of them), boring casual stuff, and games with lousy gimmicky touchscreen controls and/or mechanics. I might have considered getting a DSi, but the lack of a GBA slot was a complete deal breaker. With the 3DS, I saw my chance to upgrade and bought it at launch. I still got my 'phat' DS and I still like that design, though the touchscreen died after many years and the cheap ones I put on it only last a couple months each; I waited for the 3DS just long enough, but it looks like I should have waited longer, I want the XL more. GTA: chinatown wars was one of the best games I ever played and I'm not a GTA fan at all. Screen is not the "gimmick" it looked like. Oh, and I wish once and for all someone could confirm that the cameras on the 3DS xl are the same (or better), theres never a mention of it at all. I thought N-life had a hands on or something; no one took a single picture? My first handheld was the original GBA, the standard purple color. I actually bought it when the SP had just come out, silly me. Luckily, my parents bought me and my brother both SP's for Christmas, the special edition Lime Green ones that only came with the Donkey Kong Country bundle. I still use it today for all my GB/GBA cravings. As for the DS models, I waited two years until I found a sale for one. I held out until I found a bundle at Costco that included a white DS and NSMB for $130. At the time, I thought it was the original DS, until I realized it was actually a Lite, so it was a double score for me. For about 2 years I played on my White Lite, until it got a crack on the hinge, and I decided I should get a new model. That's when the DSi came out, so I went ahead and pre-ordered a black DSi at a local GameStop. I was enticed by the possibility of a download system on a Nintendo handheld, because I had recently become obsessed with downloading things from the Wii Shop. While there never was a VC on the DSi, it's still tied with my SP as my favorite Nintendo handheld. Needless to say, I still use it for all my DS and DSiWare fixes. Are we getting a 3ds xl review soon? Oh, and I also wanted to point out the release date of the 3DS XL... August 19th... that date keeps reappearing for me it's kinda weird... It also happens to be my ex's birthday. I have a famicom game boy micro. What are these DSi exclusive games that are mentioned that make use of the extra prossessing power? "A notable absence was the GBA cart slot, meaning that there was no backwards compatibility on the system, unless you count original DS software (which you shouldn't). Some titles were released that were DSi exclusive, though were few in number." I get the impression its not DSiware games from the way it's written. I've just been packing my old handhelds in their boxes, as they were just lying about on some shelves. I forgot just how big and ugly the original DS was. @retroking. I'm not sure there were any DSi exclusives, but an example of a DS game that used the extra power was the Korg DS10+. Not too bad either. But the DS Lite did have a problem; the hinge. And it always seemed to snap on the same side. Happened to mine, my sister's, and my friend's. The DSi was nice too, but the L and R buttons were lacking (mine stopped working in less than 2 years' time, and I didn't even use them that much...). So far, the 3DS is looking to be the best (only because I don't have the XL yet...). As for owning systems, I have a GBA SP, DS Lite, DSi, and 3DS. I have played beyond that though. I've played the original GameBoy, GameBoy Color, GameBoy Advance, Nintendo DS, and GameBoy Micro. I will be getting a 3DS XL too. @Nibelilt So it is. Fixed! My sister got a GBA SP for christmas one year (The same year I got a my currently underused PSP) and we both played that all the time. I still have it, but I can't find the charger (I was playing foe Sony durring that time). a few years later, I bought my own DS lite. I sold that to get the DSi because it had a lot more to offer. I then bought the 3DS and I'll never forget the feeling of the first time I saw no-glasses 3D. I still have the DSi and I kept it because I had some DSiWare on it and I wanted to keep the memory. I kind of miss my DS Lite, but I'm never gonna give up the DSi! Nor am I going to buy the 3DSXL...I already bought the 3DS Mini on March 29th 2011 lol! Original DS: the only model for Mario Kart DS play. It´s got the best d-pad for sneaking. I remember when someone told me there was gameboy micro at a yard sale in 2007. I never got though because I thought they were just kidding. @Flowerlark I used to have that Zelda DS Lite. My brother grabbed it from me and broke the hinge. He later let a friend borrow it for a weekend. He "lost" it. I've always purchased the first iteration of Nintendo Handhelds. Got the Gameboy, Gameboy Color, Gameboy Advance, DS (Phat) and 3DS. The only upgrade I purchased was for the DSLite, because my old DS' screens broke. i had the purple see-through gameboy color, black DSlite (sold it), blue & black DSlite, pink DSi, then a blue one (so my son could play it, now my daughter has it for the puppy game) and then I bought a flame red 3DS (selling it) , aqua blue one (when my hubby misplaced my red one) and the purple one (gave the blue one to my son). Not getting the 3DS XL though. My first handheld console was a Nintendo DS Lite. As a major Pokémon anime fan, I only got it to play Pokémon Diamond, but later I got other games. I never upgraded to DSi because my DS Lite never failed me and is still working perfectly. I just had to get a 3DS though, so I rarely use my DS Lite anymore. I'm getting a 3DS XL this summer. I'm not usually the kind who get upgrades that I don't really need, but I just totally fell for the bigger screens, perhaps I'll be able to draw on it. I used to draw a lot. But as I have 4 cats now, I can't do that anymore as they love doing what I do, and if I took my pastels out of the drawer, it would create an epic mess. I do want to get a Game Boy Micro some day. 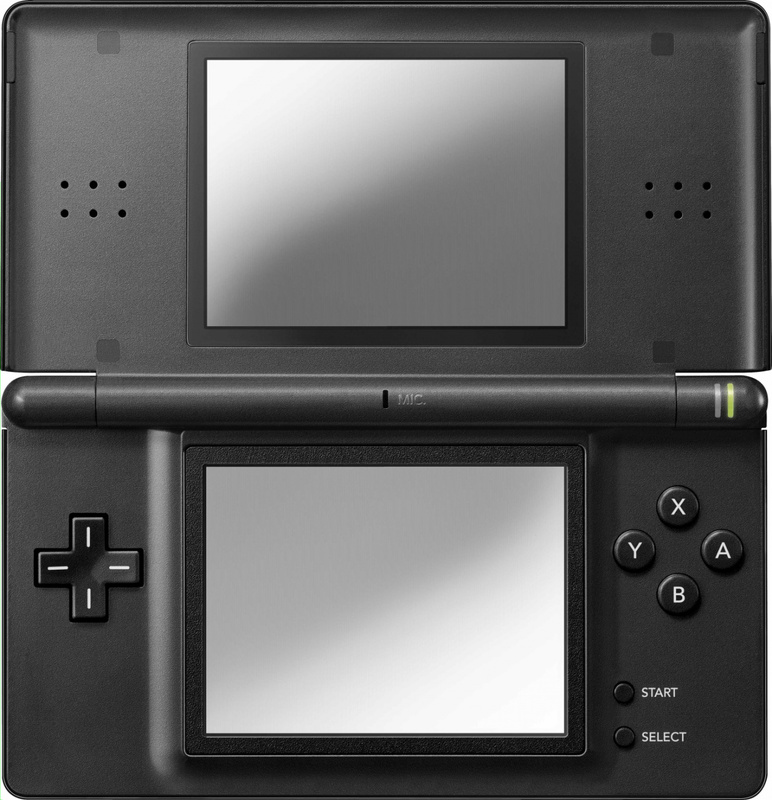 My original DS lasted me through the years until the 3DS came out, so I didn't buy the Lite or DSi. I'd love to get a Game Boy Light, but I don't see it happening. The Game Boy wasn't my first system, but it was my favorite. My original Game Boy has sadly bitten the dust recently. I remember playing Pokemon for hours, eventually maxing out the clock in Silver. Never had a portable console until I decided to buy a DSi XL, which got me hooked! I was very impressed with how sturdy it felt, not to mention the screen-size. Afterwards, I bought a used but mint Pearl Pink Game Boy Advance SP to play the amazing library of RPGs available for the GBA. It took me a while to find the model I wanted, the backlit AGS-101, but I'm very glad I did — to me, it's one of the best, well-crafted systems I've ever had in my hands. Now I plan to buy a 3DS XL, because after skipping the whole DS line and starting with the DSi XL, the original 3DS seems too small for me. I'm glad they decided to make it sooner than later! It's funny, because I've purchased a cosmos black 3DS on it's premiere day and because of the short battery life time and the rescaled resolution issues later I've decided to buy a cheap silver DS Lite too. In the meantime I've built a considerable DS game library, so nowadays I play games mainly on the DS Lite (instead of the 3DS). I suppose my approach is well, quite unusual. I still remember Reggie showing off the Micro for the first time and I was just like "WOAH, I gotta get me THAT!" I've never bought any DS or 3DS b/c I'm still so happy playing my Micro. @Retroking1981 Rabbids Go Home had a DSi-exclusive camera feature, but I don't think it was DSi-exclusive. I have had them all except the Gameboy Light edition restricted to Japan only ... DANG!!! That was the one I really wanted ... and wanted it baddly!